Metroid Prime: Trilogy is an action-adventure video game compilation developed by Retro Studios and published by Nintendo for the Wii video game console. 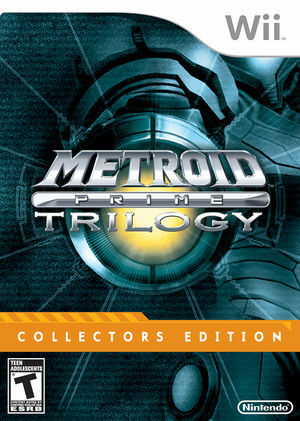 It features Metroid Prime, Metroid Prime 2: Echoes, and Metroid Prime 3: Corruption on a single dual-layer disc. 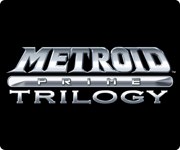 Metroid Prime 3 in Trilogy is more or less a direct copy of the original Wii release. 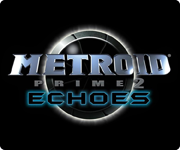 However, it uses the Metroid Prime Trilogy menus, achievements, saving system, and unlockable soundtracks; and it has extended versions of the Bryyo music tracks to make them less repetitive. This page should be used for specific issues with the Metroid Prime sub-game of Metroid Prime: Trilogy. 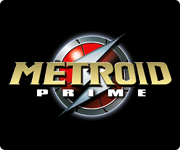 For other Metroid Prime: Trilogy games or launcher information, please see the following pages. Since 3.5-471, when using the MS Bluetooth Stack (the default Bluetooth stack on Windows) the game will think that the Wii Remote is constantly disconnecting. Pressing a button on the Wii Remote will restore it, but it will disconnect again seconds later. Disable Enable Speaker Data to remedy this problem. It's a problem bound to PC hardware and driver, you can also try Bluetooth Passthrough, or follow this Wii Remote -TR Connection Guide anyhow to avoid the MS Bluetooth stack. DolphinBar is another viable solution for this problem. Metroid Prime 3: Corruption (Metroid Prime: Trilogy) is one of the most susceptible titles to shader compilation stuttering. The GC and Wii have no concept of shaders - everything is executed directly by the hardware without an intermediate programming language (API). Modern computers and mobile systems do not work in this way, requiring the use of shaders as an intermediary so your system's GPU can perform the tasks that the GC and Wii GPU performed directly. Shaders have to be generated though, and since GC/Wii games are not designed to create shaders ahead of time as a PC game would, when a new effect appears Dolphin has to delay the CPU thread while the GPU thread performs the compilation; a pause that does not exist on the consoles. For most games shader generation takes only a few milliseconds, but for a few demanding titles, the shaders that they generate are so large that they can result in noticeable stuttering, in severe cases pauses of over a second may occur. Since 5.0-4869, this problem can be solved by enabling ubershaders. Changing GPU, updating GPU drivers, or updating Dolphin may invalidate the shader cache, requiring specialized shaders to be compiled again. Since 5.0-6461, Dolphin caches shader pipeline UIDs independently of the video backend and compiles them on game start. This allows cached shaders to work across different video backends, platforms, hardware configurations and even Dolphin versions as long as changes aren't made to Dolphin's actual shader pipeline. These shaders are compiled in the background when the game starts, which may cause stuttering for a short period. Enable Compile Shaders Before Starting to avoid this. The Scan visor will only work if Store EFB Copies to Texture Only is disabled. 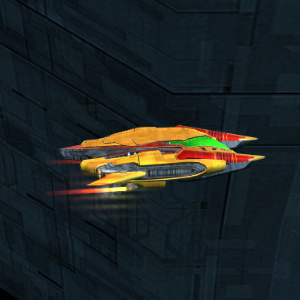 Though Store EFB Copies to Texture Only is forced off by the GameINI, visor issues may still occur if the graphics configuration window is opened during gameplay. Disable Store EFB Copies to Texture Only in the Dolphin GUI to avoid any problems. During Shader Compilation, stuttering can become so severe that it desyncs the GPU and CPU threads in Dual Core mode. The game freaks out over this desync, creating a black bar at the bottom of the screen, which takes up 15% of the screen space and "squishes" the game in the remaining space. The black bar will remain there from then on whether stuttering continues or ceases. After 4.0-7517, enabling Virtual XFB or Real XFB will fix and/or prevent the problem. If XFB is disabled the problem may still occur. Details can be found in the September Progress Report. Fixed with Hybrid XFB in 5.0-5874. 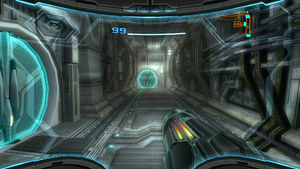 Metroid Prime 3 has been prominent in using blooming effects unlike the other Metroid Prime: Trilogy games, and therefore the blooming offset problem in this game became more noticeable than others. It will have several copies of the bloom spread out from the source, and can be very distracting. 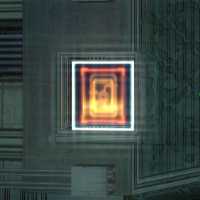 Disabling Scaled EFB Copy in Dolphin's settings will influence how the blooming effects should look, but this has some issues on its own, such as upper-left part of the screen become pixelated. It's a problem belonging to resolutions that the real Wii never had. 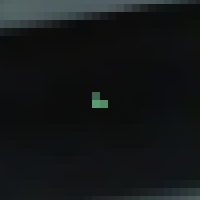 When playing above 1x Native internal resolution, there is a dot in the center of the screen. It's small and easy to ignore, but it's always there. 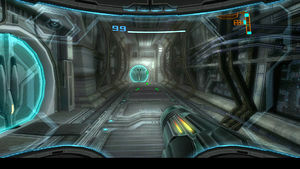 It can be hidden along with the helmet and visor display in the game's options (Hit "1" on your Wii Remote then point at wrench icon on the bottom left of the screen to bring up the option screen then go to monitor icon on the right of the screen, then set both "Helmet Opacity" and "Visor Opacity" to 0). It's a problem belonging to resolutions that the real Wii never had. The graph below charts the compatibility with Metroid Prime 3: Corruption since Dolphin's 2.0 release, listing revisions only where a compatibility change occurred. This page was last edited on 13 January 2018, at 12:27.